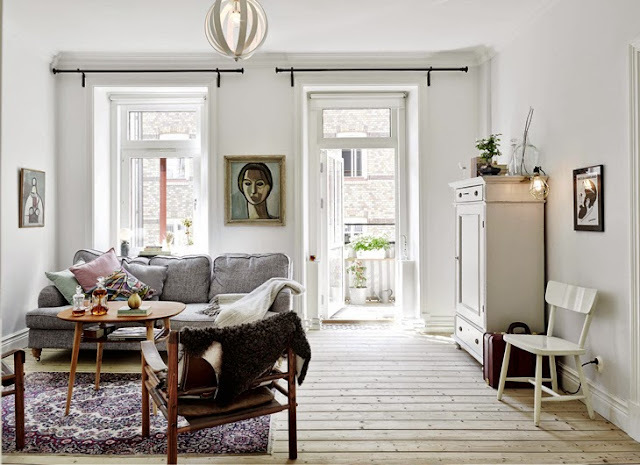 This Swedish apartment is a great combination of vintage, raw elements like the unfinished wooden floor and of course grey and white colored walls. 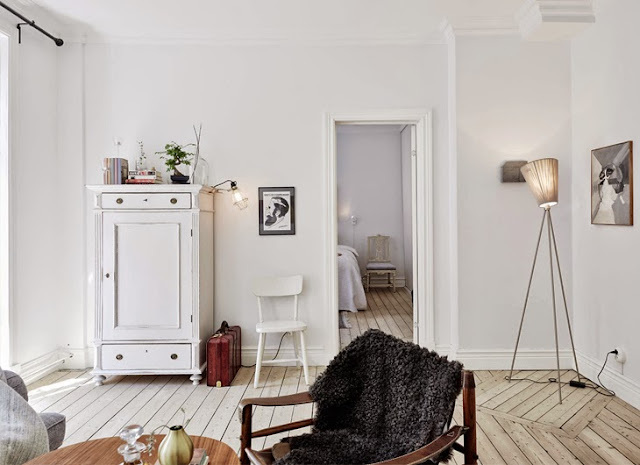 It seems that every piece a furniture has a story to tell. A great way to store away everything in your kitchen, when you have a small kitchen, is to go up to the ceiling with the cabinets. 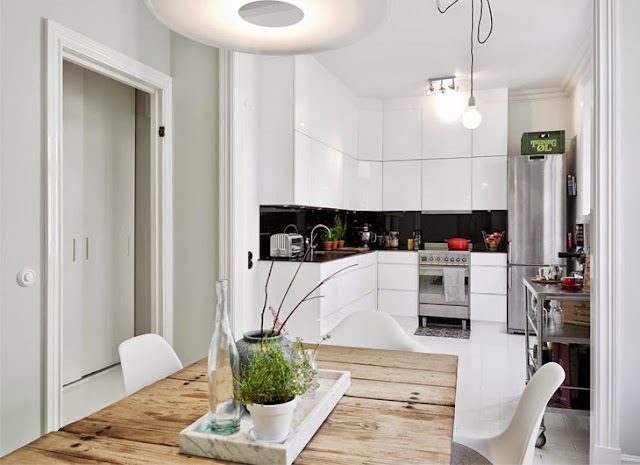 Making them a light or white color will always make the space look bigger and not small with lots of cabinets. 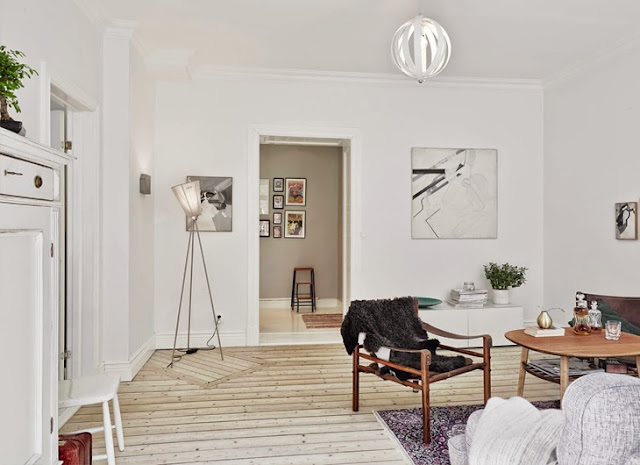 Great vacation home in Sweden, don't you think?